My kids are little and just getting into life, and school, and things like that. One of the things I’ve thought a lot about, maybe obsessed a little bit about is, how can I help my kids learn to love learning? As I’ve sort of gone through my own life and my experience in different scenarios (lots of experience in church and churches, lots of experience in companies and the corporate world), one of the things I’ve realized is that being a continuous learner is a massive advantage in life. Being a continuous learner makes life more interesting. Being a continuous learner is completely wrapped up in becoming the-best-version-of-ourselves. Because when we’re constantly trying to become a-better-version-of-ourselves, we need more input. We need new input all the time. We need new insights, we need new awareness, we need new ideas that spark different behavior, different desires. As Christians, we’re called to be ultimate people of possibility. We’re called to be people who believe that things are possible, people who are filled with a fabulous hope. And I think in order to maintain it, you really do have to be a continuous learner. And in order to grow spiritually, we have to be continuous learners. People who are satisfied with what they already know, people who are sort of entrenched in their own opinions, tend not to be continuous learners and also tend not to be growing spiritually. Do you love learning? If you don’t love learning, I want you to think about when you stopped loving learning. What happened in your life around that time that caused you to stop loving learning? I want you to go back. I want you to trace it back. I want you to think about that situation. I want you to face that situation, however difficult, however uncomfortable, however painful. I want you to make peace with that situation, and then decide not to let that situation rob you of your future . . . and start to learn again, start to be a lover of learning. It’s a beautiful thing. It’s something that just breeds excellence and helps us become the-best-version-of-ourselves. And when we fall in love with learning, we fall in love with life in a completely new way. Wherever you find excellence, you find continuous learning. They go hand in hand. Wherever you find that continuous learning is missing, you find mediocrity. Do something today to stoke your love of learning. Lord, inspire me to fall in love with learning. 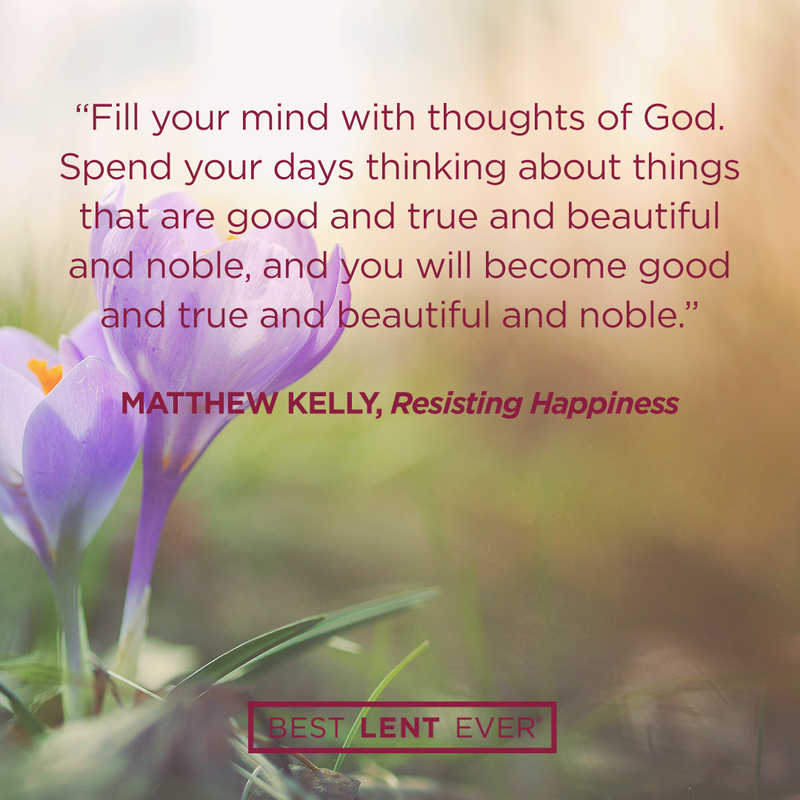 Help me to fill my days with you, and with things that are good, beautiful, noble, and true. Today’s personal reflection features Dynamic Catholic team member Lindsey Paris. Lindsey is one of our mission partners. She comes to us from Booneville, Indiana. Lindsey was known as a backseat driver as early as preschool, absolutely loves sending and receiving mail, and hopes to grow all of her own food someday. How has continuous learning made your life better?